A 53-second clip featuring the new Doctor Jodie Whittaker and two still images of the actor were shared via Tapatalk a week ago. BBC Studios said it takes “theft and illegal distribution of our content extremely seriously”. The BBC has filed an application with the California Federal Court. Tapatalk is not accused of any wrongdoing, and users who upload copyrighted materials violate its terms and conditions. A spokesman added that BBC Studios “will strive to protect our programme-makers, audiences and licence fee payers from any breaches of security – ensuring Doctor Who fans enjoy the final and fully completed version of the episode when it premieres”. BBC Studios began an investigation as soon as it was made aware of the unauthorised leak. It is understood the unfinished clip had temporary music and had not gone through the process which determines the final visual look of the scene. That may help investigators identify the part of the production chain where the leak originated before it was uploaded using Tapatalk. It also appears that a small number of individuals on a different online platform, Discord, which is often used by gaming communities, had seen and discussed the short scene almost a week before it leaked publicly. BBC Studios moved quickly to ensure the Tapatalk link was disabled and to remove the clip from social media platforms and video sharing sites. Some fans online have speculated that the BBC may have planned to show a finished version of the clip at San Diego Comic-Con. 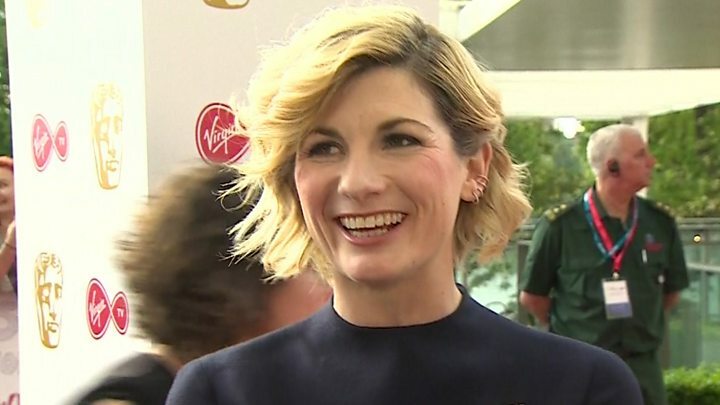 Jodie Whittaker and other members of the cast and crew are due to make an appearance at the convention later this month. It is not the first time that Doctor Who material has appeared online earlier than planned. In 2014 BBC Worldwide apologised after scripts and footage from the series were accidentally placed on a publicly accessible server. And in 2005 an individual who allegedly leaked the first episode of the revived drama was sacked following an investigation. Jodie Whittaker is the first female actor to play the Doctor and her first series of 10 episodes is due to be broadcast in the autumn.